When I started my job as the new Editor in Chief of this blog, I was told to "be creative with my content." I have been thinking about the different aspects of scootering and how to incorporate them into my articles, but after deeper analysis, I think it would be way cooler to have an outlet for riders to express a personal interest. Music is something that is a personal part of everyone's daily lives. I listen to music all day, everyday and don't know what I would do without it. It is also something that goes hand in hand with riding scooters. Therefore, I decided to start "rider's playlist" and have different Lucky riders share 5 of their favorite songs to ride to and describe why they like riding while listening to those songs. For the first Rider's Playlist, I decided to find out from none other then Lucky OG pro rider, James Gee, what he likes to listen to while he shreds the scoot. James is a unique case because I know him on a personal level and I have this theory that he only listens to T-pain so I'm anxious to see what his playlist looks like. Check it out below! Tpain- every song ever created by him. Tpain is the best artist alive and hes so good why wouldn't you listen to him when you ride. I know his songs are not that good but i just like listening to him haha T-pain all day. ratatat- loud pipes Used this song back in the day for a lucky wheels edit i believe. I really like songs that have no lyrics. I'm not the biggest music person so I don't really interpret what the lyrcis mean in songs unless i really like the song. This is just a good song to ride to and flow around. Any ratatat song is good to just chill and ride to really. Good stuff here. Mr Scruff- Kalimba - Used this song in an ADVCT promo at Epic indoor (RIP). Another song with no lyrics but the upbeat fast tempo makes it enjoyable to ride to and stack the footy tape dawg. Eric Thomas- How badly do you want it- This isn't really a song its more of a speech with background music in it. Really worth a listen. Talks about a guy who wants to be successful and how badly you want/need to be successful to get the things you want. I listen to this when i get bummed on not getting tricks i want to get or if im trying to get a trick and im starting to psych myself out and getting over it. It really amps me up and makes me wanna go bigger and harder. "Pain is temporary, it may last for a minute, or an hour, or a day, or even a year, but eventually it will subside... If i quit however it will last forever." 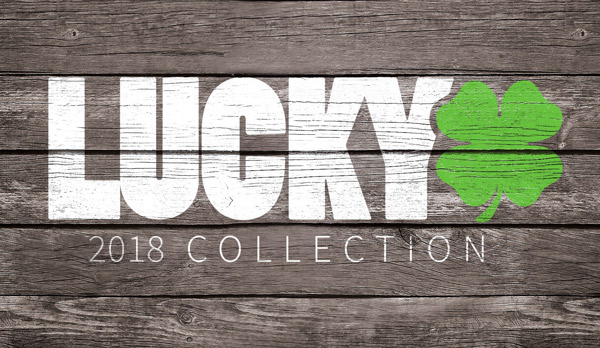 If you haven't already, check out Lucky's line of headsets!